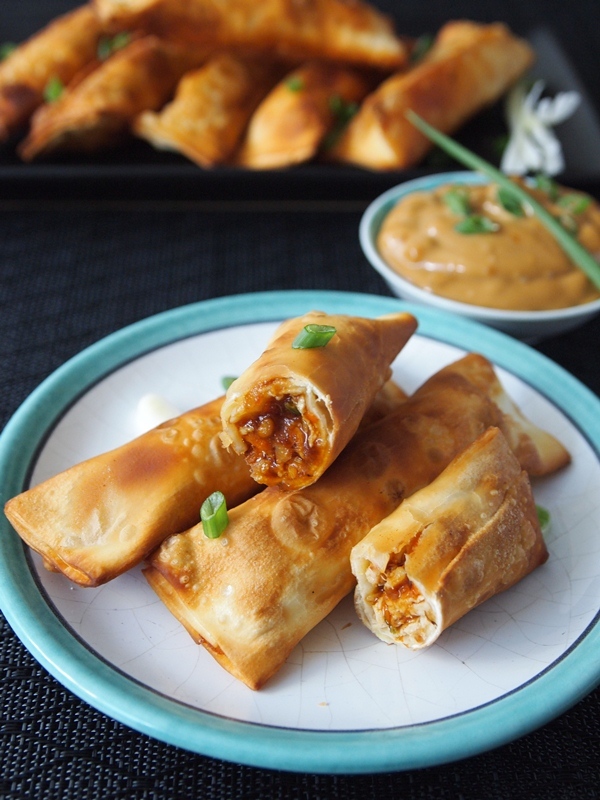 Each time I think about inviting friends over to watch sports or for an impromptu party, tequeños are the first thing that pop into my head. 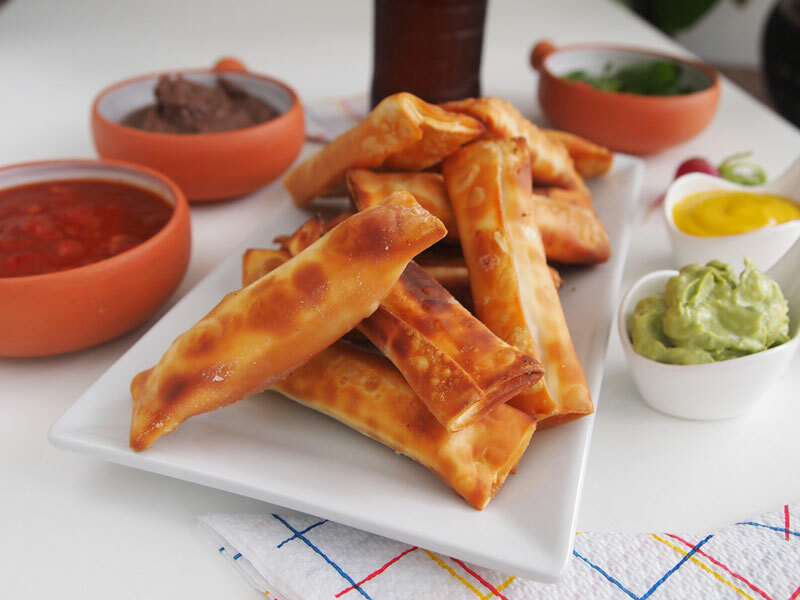 They are easy to make, and in Peru we absolutely adore them even though they are not Peruvian but Venezuelan (we make a slightly different variation of them). 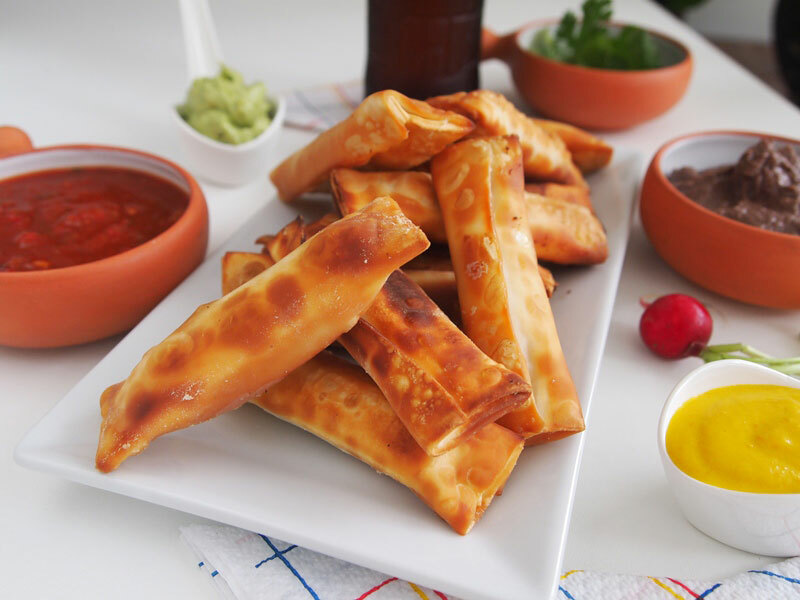 The basic recipe consists of wonton dough filled with cheese and deep fried, served with an avocado – mayo cream. But these days creative juices are high in the kitchens of every home and restaurant around Peru, and one can enjoy innumerable variations using Peruvian or Oriental flavors. 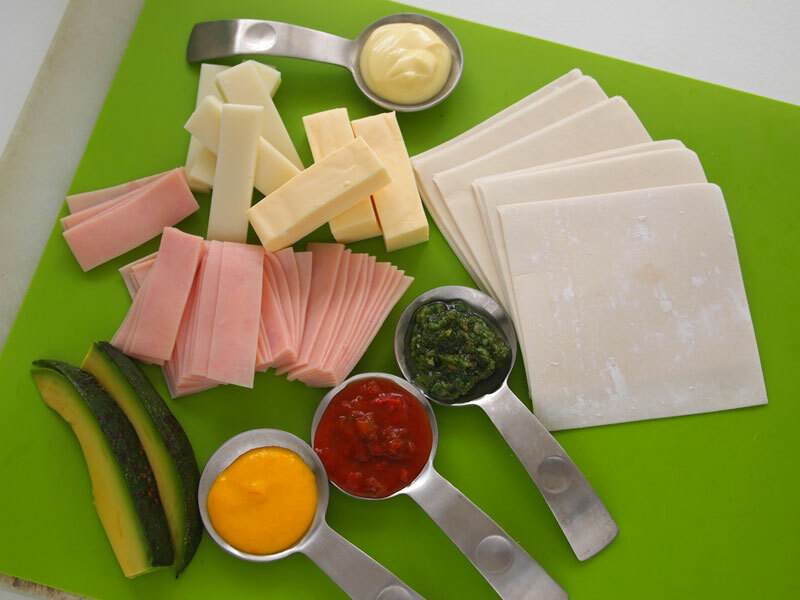 For this recipe you only need two different types of Cacique cheese. I called them “mixtos” because “mixto” is the Peruvian name for a toasted ham and cheese sandwich. This time I´m using queso Oaxaca and Manchego with a finely sliced ham sandwiched between the cheeses, but feel free to use roasted chicken, chopped nuts, chili peppers, cooked quinoa, or any other ingredients that you have available and would like to experiment with. A bit of chimichurri (garlic, herb, and oil salsa that you can make yourself or buy in the grocery store) would also add a nice extra layer of flavor to these tasty bites that combine perfectly well with guacamole and other delicious salsas and creams like our beloved aji amarillo sauce, huancaina sauce and / or refried beans. If you don´t want to bother with chimichurri add some fresh oregano leaves or even a bit of pesto to the cheeses / ham filling. The recipe couldn´t be simpler. I´m giving you instructions to make 18 tequeños or three per person but I doubt anyone will keep to only 3 of them, so make as many as you want. If you are planning on preparing them in advance, put them in a tightly sealed container without frying them and refrigerate them. Fry before serving or keep warm for a few minutes in the oven. 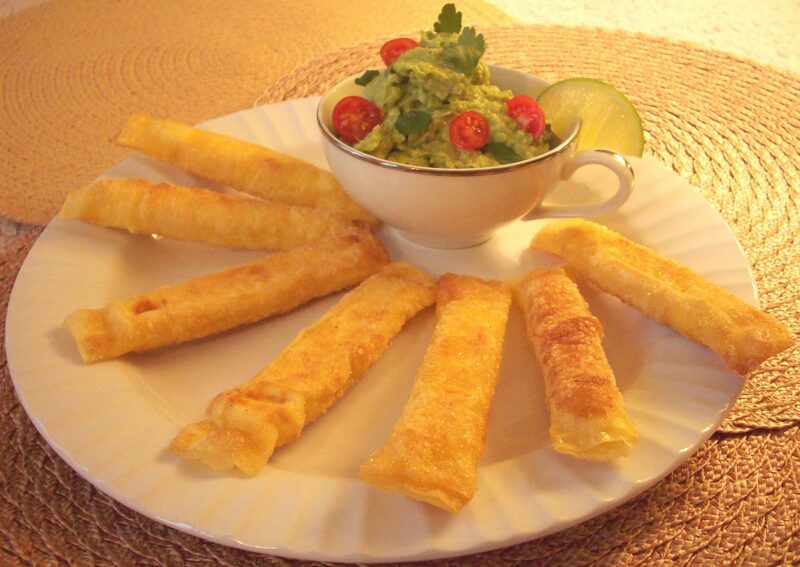 Serve these tequeños with icy cold beer. Put a wonton dough on the kitchen counter. 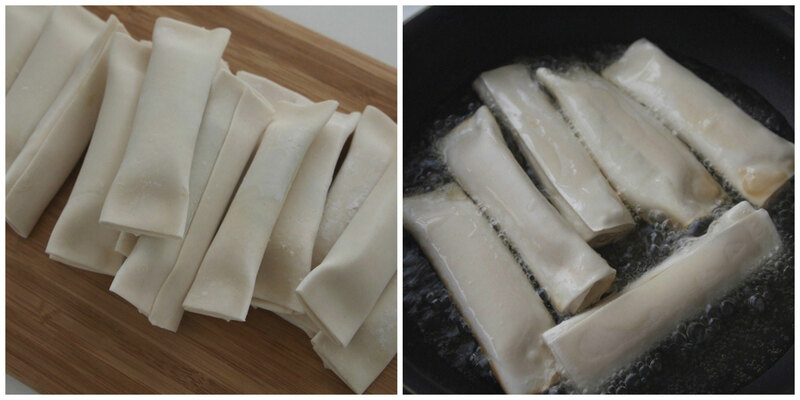 Wet your fingertip with a little water and moist the edges of the wonton dough. 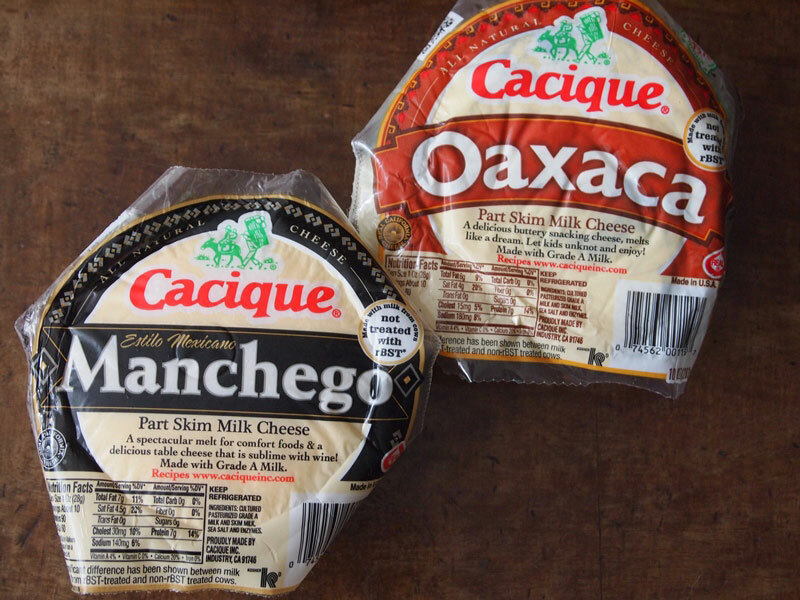 Place a slice of Oaxaca cheese on one side of the square, top with a slice of ham and then a slice of Manchego. Spread a bit of chimichurri on the cheese. 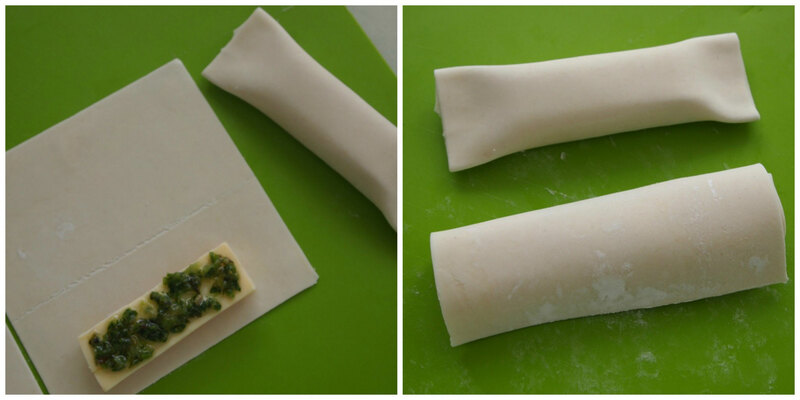 Roll each wonton dough like a jelly roll, beginning with the side of the filling. 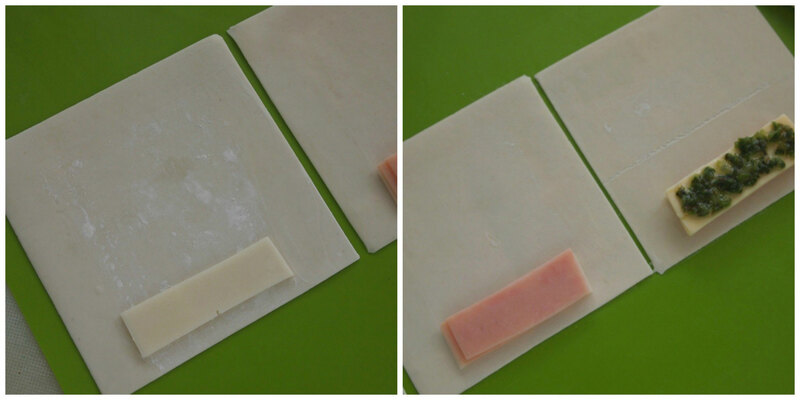 Press the two sides to seal and make as many tequeños as possible. 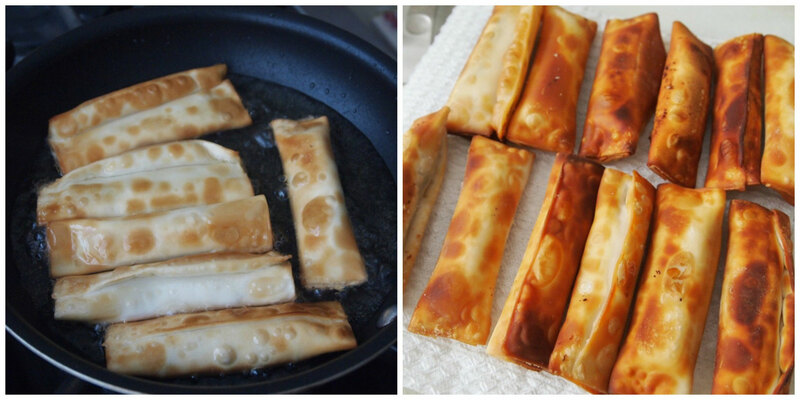 Heat the vegetable oil in a saucepan and fry the tequeños until golden brown, (about two minutes per side). Drain on paper towels and serve immediately with the sauces of your choice. Gracias, Francisco. Que bueno que te guste. 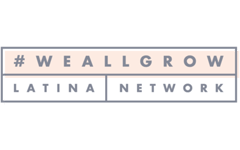 Thanks thecookwaregeek.com, we are so happy to be featured on this list full of dear friends and amazing bloggers.